World leading centrifuge manufacturer – GN Solids Control launched its latest design decanter centrifuge with direct connecting motors. 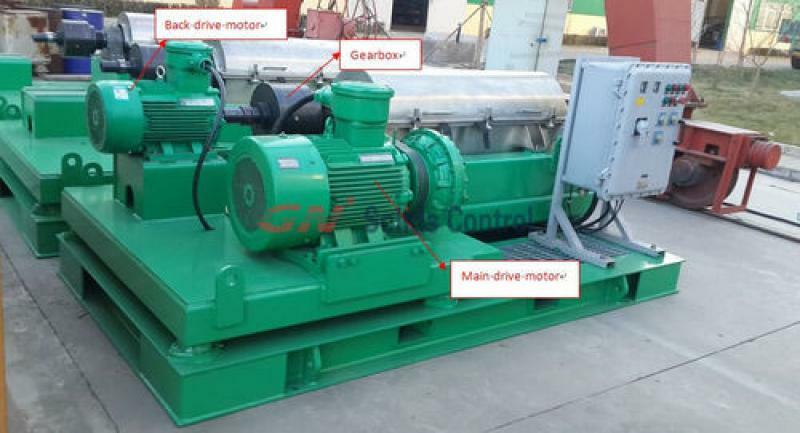 Some customers showed great interest on it, and have question about the purpose of main drive motor and back drive motor in GN decanter centrifuge design. Blow we elaborate on this. Main motor and back motor is powered for the centrifuge. It is the similar connection design with Derrick centrifuge. Main motor is connected directly with bowl. Back motor is connected with gearbox and then connect with centrifuge screw propeller.